National Rail Enquiries, the UK’s number one travel website, is proud to release the musthave app for every train traveller. Now you can access detailed, realtime train information direct from your iPad. So much more than a timetable, innovative technology enables you to track specific trains, find out about disruptions to your journey, and replan your journey on the go. With unprecedented visibility and intuitive tools, the National Rail Enquiries app will transform your train travel experience, empowering you to catch the right train and complete your journey. Features Journey Planner Plan your journeys with live travel updates, find out ticket prices and buy your ticket via third party websites Live Services View live departure and arrival boards for any station Twitter Updates Find out about disruption affecting your train operating company via Twitter Alerts Receive notifications of delays and cancellations to your trains Station info Find out station information address; ticket office opening hours and facilities available Get me home Wherever you are, find your next journey home via our postcode search Favourites Save your favourites, home and work stations to make navigation more simple Tube and Plan your journey to or from London Zone 1 Underground and stations Enhance your train travel experience download the National Rail Enquiries for iPad app today. Check these links to find your download for National Rail Enquiries for iPad for & iOS or for your device iPad. 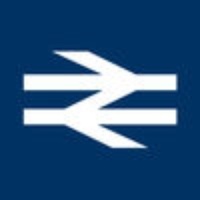 The app National Rail Enquiries for iPad is compatible with te following devices.